Nazarbayev’s decision to voluntarily leave office after 30 years will open a new era in Kazakhstan and in Central Asia: as a matter of fact, after the death of the Uzbek President Karimov in 2016, Nazarbayev was the last of the Central Asian presidents which led their countries to the independence in 1991. In accordance with the Kazakh Constitution, the speaker of the Senate Kassym-Jomart Tokaev has become the interim President until the new presidential elections – scheduled in December 2020 – will be held. Under Nazarbayev’s presidency, Kazakhstan gradually achieved political sovereignty and economic independence, probably representing the most successful example in the post-Soviet space. In his resignation speech, Nazarbayev highlighted the achievements under his presidency stating “We put Kazakhstan on the map where there was never such a country” [Peter Leonard, Kazakhstan’s leader resigns after almost 30 years in power, Eurasianet, March 19, 2019, https://eurasianet.org/kazakhstans-leader-resigns-after-almost-30-years-in-power]. The decision to resign reflects his main concern to avoid instability and traumatic upheavals in the succession’s process, which could undermine political stability and economic wealth linked to Kazakhstan’s role of global oil supplier as well as its geopolitical status as strategic bridge between Europe and Asia. However, in spite of his resignation, Nazarbayev will manage the ongoing political transition influencing Kazakhstan’s foreign and economic policy because he still occupies several strategic posts: in fact, Nazarbayev benefits (for life) of the status of “elbasy” (or leader of the nation) and he will remain (for life) head of the powerful Security Council. Moreover, Nazarbayev is the chairman of the ruling Nur Otan political party, which holds the vast majority of the seats in the national parliament (93 out of 107) and will indicate the candidate that will probably become the new president of the country [Pete Baumgartner, Explainer: Kazakh President Nazarbaev Resigns, But Is He Really Leaving?, RFERL, March 19, 2019, https://www.rferl.org/a/kazakhstan-explainer-nazarbaev-resigns/29830781.html]. 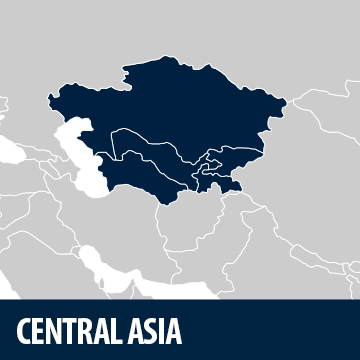 During this period, Tokaev will not reverse Kazakhstan’s traditional multivector foreign policy, based on enhanced cooperation with several states. Neighbouring Russia will remain the main economic and political partner for Kazakhstan but the limited economic achievements of the Eurasian Economic Union (Kazakhstan is one of the founder members of this regional organization) could influence the future approach of this Central Asian country about EEU’s membership. Nazarbayev strongly supported regional economic integration, fiercely opposing Putin’s proposal to transform the EEU in a regional political organization, that is perceived as a threat to national sovereignty. Moreover, the cooperation with China will be further enhanced, considering that Kazakhstan is strategically important as key overland transit corridor between China and EU within the Belt and Road Initiative, as well as to provide regional security (Kazakhstan borders with the Xinjiang Chinese province). In addition to Moscow and Beijing, Kazakhstan will also preserve and improve the partnership with the EU and United States, due to mutual interests in the energy field, in the security sphere (cooperation to stabilise Afghanistan) and in the economic-commercial fields. Fabio Indeo – PhD holder in Geopolitics at University of Trieste and non-resident fellow research at Center for Energy Governance and Security (EGS South Korea).